How safe is Obama’s Clean Power Plan, adopted on Monday with conspicuous lack of ostentation, from legal attack? It’s a regulation implementing the Clean Air Act of 1963 and its many later additions. The Supreme Court agreed in 2007 in Massachusetts v. Environmental Protection Agency that carbon dioxide was a pollutant for the purposes of the Act, so the defence should be plain sailing – on paper. The resounding defeat Chief Justice Roberts meted out to the plaintiffs in the fanciful challenge to ACA in King v Burwell widens the door for challengers to the CPP. Simon Lazarus at Jack Balkin’s highly expert constitutional law blog explains some of the problems. Lazarus accepts that the 2007 ruling is a binding precedent for SCOTUS, so he doesn’t see a direct challenge on jurisdiction succeeding. IANAL, but with this politicised Court, can we be so sure? Carbon dioxide was clearly not specifically envisaged by Congress in 1963. Adding it in was a judicial inference. I for one can easily see this Court reopening and reversing Massachusetts in the light of its shiny new doctrine. That case was a suit by various progressive states to force the EPA to reverse its 2003 finding that it lacked authority to regulate GHGs from vehicles under the Act, so the interpretation is not a matter of the bleeding obvious. Roberts’ new doctrine does, it seems, weaken Chevron deference to executive interpretation of ambiguous statutes in matters of great policy importance. “air pollution which may reasonably be anticipated to endanger public health or welfare.” Mercury, soot, sulphur dioxide and so on quite demonstrably and measurably endanger public health. For CO2, you have to rely on welfare, a much more ambiguous concept. Climate change does endanger Americans through several channels: desertification, a rising sea level, a greater frequency of extreme weather events like floods, and spillover from climate-linked conflicts and disasters elsewhere in the world. However, these impacts depend on global emissions, of which the US is only responsible for 16% annually, though 29% cumulatively. This fact makes it tricky to justify the cost-benefit ratio of regulations to cut emissions, considered unilaterally. It was certainly not part of Congress’ legislative plan that the implementing regulations could become part of a grand cooperative global scheme to reduce emissions by treaty. I pray that the CPP survives the blizzard of legal challenges which will be launched against it the day after its publication in the Federal Register. But these challenges are far more credible than the later ones against ACA – King v Burwell, which failed, and Hobby Lobby, which succeeded against the odds. None of this helps the increasingly desperate coal industry and its champion turtle Mitch McConnell (footnote). For the war on coal is completely justified by the proven health impacts alone, which are essentially local and regional. A reversal of Massachusetts and rewriting of the regulation around health impacts alone would only help natural gas, which emits CO2 but hardly any other pollutants. Barack Obama is a skilled politician. I would be surprised if he has not gamed out such a scenario. The emissions target is unambitious by European or Chinese standards, though it was quietly raised from a 30% reduction in GHGs from 2005 to 32%. This modesty makes it much easier to defend the regulation on shockproof health grounds alone. Meanwhile, the regulation is law. Whatever they think of it, state officials now have a duty to carry it out, and company directors to consider its impacts on their business plans. Obama plans to be on the side of a cultural sea-change, as with gay rights. 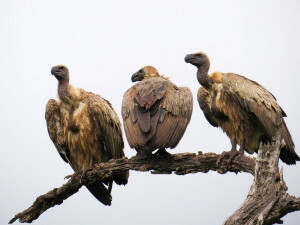 In the end, vultures have no talons and cannot kill their prey. Mitch McConnell, in a WSJ op-ed: “States report that the regulation’s mandates are not technologically achievable..” The CPP will lead to a renewable share of generation of 25% in 2030, according to the EIA base projection. Germany is already at around 30% renewable electricity generation. But then, it’s a well-known conservative factoid that Germans suffer constant power cuts and brownouts from all that unreliable wind and solar … More likely, they would take to the streets if their 15 minutes of annual outages suddenly increased to the four hours Americans put up with.